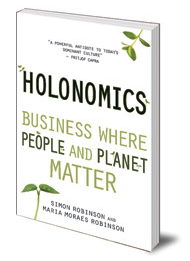 I wanted to write a little note to you all to say that our book Holonomics is now fully up and running on Amazon. It can now be pre-ordered on Amazon.com, Amazon.co.uk and also most of the other Amazon sites. It is also available via other booksellers too of course such as Waterstones, and you can of course buy direct from Floris Books. It has been fascinating these last few weeks talking to journalists and a number of other people about what exactly Holonomics is, especially as it is a less a framework or methodology, and more what we call a movement of thinking into a dynamic way of thinking, a certain form of mindfulness which directs awareness and attention not just to the dynamic relationships within complex systems, but which also comprehends the deeper meaning of these systems. 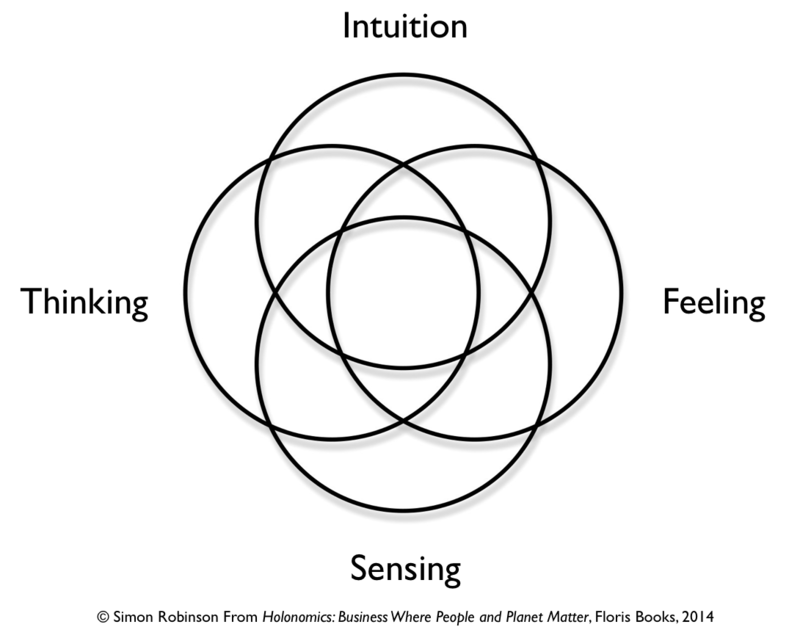 It is of course difficult to do an elevator pitch for Holonomics when you are discussing the four ways of knowing as we do in our book: thinking, feeling, sensing and intuition. Intuition is that part of our way of knowing the world which cannot be codified, put into symbolic language or modelled, and yet it plays such a fundamental role in our comprehension of dynamics. 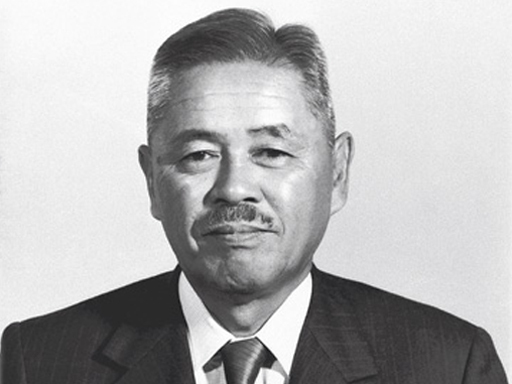 It was therefore excellent this week for me to discover a quote from Taiichi Ohno (1912 – 1990), one of the principle architects of the Toyota Production System. Of course at first this system had no name, and Ohno famously said that if you were to give a system a name ‘managers would expect it to come in a box’. This is genius, and extremely insightful, especially when nowadays we are overrun with ever-more complex management processes, all of which come with an ® (I will explain in a minute). If you look at the mandala above, the overall idea is that in order to understand a complex system, we need to achieve a balance of all four ways of knowing. There is a huge amount of waste in business today, often because managers are acting like scientists, but they do not realise so. They have many different theories, and rush to implement improvement programmes and change programmes before really studying what the problems are. Ohno made sure that his management team spent weeks observing real problems in Toyota’s manufacturing plants, and this would mean that rather than being full of theories and management fads, they would achieve a deep understanding of the system as a whole. With this way of seeing, they could see how the flow of work from end-to-end, rather than only thinking in terms of the achievement of targets for each individual in the organisation, targets which could obviously create tension and internal competition. John Seddon, author of Freedom from Command and Control, describes how he studied the Toyota Production System and translated into a system for service organisations. He points out that Ohno taught us that it’s hard to teach counter-intuitive truths by explanation. It’s better and faster to learn counter-intuitive truths by seeing them for yourself. Seddon uses the term ‘management factory’ to show how the command-and-control logic of western high-volume manufacturing creates huge amounts of waste in organisations, as management separate the management of work from a workforce who actually do the work. Thomas Johnson and Anders Bröms also write about this concept in their book Profit Beyond Measure, using the term ‘information factory’. When Maria and I write about sustainability and resilience, we do so from many perspectives. When you have a systems view of organisations, you see how it can be possible to cut costs, reduce waste, but also take care of the workforce as human beings, ensuring their happiness and improving their morale, satisfaction and motivation. It does not need to be either or. You can have both. In the UK the British Government (nowadays via the Office of Government Practice) over the last four decades has developed and demanded the use of ever more complex ®s, such as PRINCE2® (for projects), MSP® (for programmes), M_o_R® (for risk), ITIL® (for IT services), MoP® (for portfolios) and MoV® (for value). The reality has been disaster roll-outs of IT projects across many different sectors such as health, transport, agriculture and defence which have cost billions and delivered a fraction of what was promised. The answer has often been to employ the same consultants using the same tools and to expect a different outcome. We need a different way of thinking, and Maria and I have coined it ‘holonomic thinking’. Built on a foundation of human values, it is systems thinking combined with deep philosophical insights combined with the years we have both spent in commerce and industry, seeing both great companies achieving amazing results, enhancing both the lives of people and protecting and nurturing the environment, as well as of course bearing witness to practices which were less than successful. We really hope you enjoy our book when it finally comes out this April. ← Guest Article: Kengo Kurimoto: How do I relate to the world? Simon your book very interesting and look forward to reading it. When you talk about UK Government’s approach to implementing projects and programmes I do agree with you there is an approach(s) and they have stuck with it. Many projects have been a success (e.g. the 2012 Olympics), others have been a financial disaster (the UK programme for IT in health) and others further afield are causing a huge amount of human suffering (FIFA World Cup in Qatar). You seem to imply that we would all be better off without such methods and to opt for a very different system. As somebody who has been involved in this type of work and have an interest in conscious business I would be cautious of throwing ‘baby out with bathwater’. I think there is something important and subtle to explore as to what actually happens when these approaches succeed (or fail) and what/how they add to humanity. In other words, to my mind there are important paradoxical processes at play when projects work well that are worth paying attention to i.e. 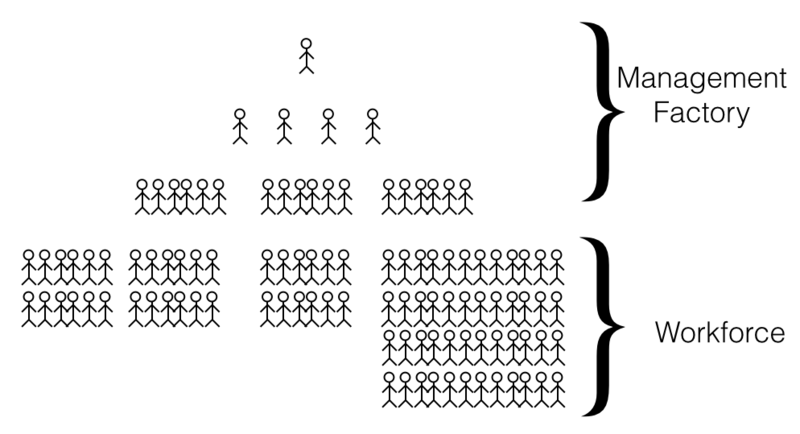 the interaction between those constraining and enabling factors as people work together. If we don’t pay attention to this and we develop another ‘system’ I think we are at risk of repeating our mistakes. Thanks for your comment. You are absolutely right not to throw the baby out with the bathwater, in my blog I really wanted to focus on the act of seeing and thinking about systems. My wife Maria, who is co-author of Holonomics, is one of Brazil’s leading exponents and implementers of Balanced Scorecard, having worked in partnership with Kaplan and Norton for many years, and so as you can imagine, we have many discussions about exactly what makes the difference between successful implementation of one of the big methodologies, and a failed implementation. A major problem with the project management methodologies is the danger of focusing on the wrong targets and failing to enhance the system as a whole. If the wrong targets are chosen, then workers begin to focus on meeting the targets at the expense of what is right for the end customer. This introduces a massive level of waste. It’s a great example of the Government setting priorities for targets, but one council ignoring them and delivering exceptional customer service. When there is a rigid adherence to a methodology for the sake of a methodology without a real appreciation of how we construct meaning from the world, then dialogue becomes impossible and creativity is stifled. Again, my articles on the Strategy Execution Summit also look at this and how we need to build this kind of mindfulness into the development of people, from the CEO and President down. Hello Rob, I think I would summarize my own view as saying that when working with a methodology, you have to have mindfulness. Without mindfulness, the methodology will not truly work. I’ve had some very good experience of working with Balanced Scorecards (and some dyer ones). What seems to go under the radar are those power relations between people at all levels as to how they construct, report, interpret etc. In fact power often goes unnoticed in much of our working relationships (a particular interest of mine from a complexity perspective and how policy/strategy comes to affect frontline activity). I seem to remember that K&N had a paper published in HBR on the office of strategy management (or something like that). It seemed a tacit nod that the ‘mechanistic’ application of the scorecard was only part of the story, the other dimension being how people related to each other (or sought to control how people related to each other). To my mind that paper was a response to a problem that was in the same mould as the problem itself (and therefore rather missed the point) as opposed to suggesting how we might come to think/experience/notice differently.